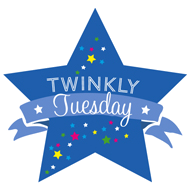 Twinfant Tuesday: Baby Carriers for Twins | How Do You Do It? Twinfant Tuesday: Are You in Those Baby Photos? I have yet to try to wear both babies at the same time. But, we have four different kinds of slings!! Two were handed down to us, and two we registered for. My husband has loved the good ol’ baby bjorn for our son, who is a little heavier than his sister, handed down to us. I’ve also loved our baby k’tan for our daughter. However, the k’tan seems like it stretches out a little bit, and I’ll need to wash and dry it frequently to tighten the fabric back up. We also were handed down a peanut shell and registered for an Ergo. We haven’t used the Ergo yet. The peanut shell has mainly been used for really cranky moments when a baby needs to be held, and I still need to do stuff around the house. But, I can’t see myself taking a walk with a baby in it. 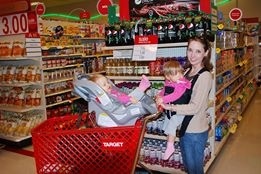 I’d love to hear how babywearing works for you as your tiny ones grow! 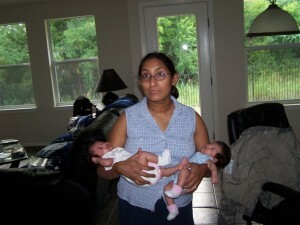 Hi, I’m a mom of one but I have been enjoying some of these multiples posts because I take children in for childcare. I started with my daughter and our first little buddy when they both turned one. I would use a baby hawk mei tai carrier for my daughter on my back and the ergo on my front and that is how I got them to sleep for their nap for the first few months. Fast forward a bit and it was not uncommon to see me walking through town with my daughter at one and a half on my back, a 6 month old baby on my front, usually in a moby, our little buddy in the stroller and my nephew 4 holding the side stroller handle. I can just picture you with your brood! Pingback: 1500: A Milestone - How Do You Do It? 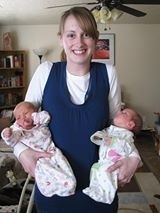 I can’t find a twin carrier for twins over the age of 16 months. My biceps need a rest! Can anybody rx one? Thinking I may have to design and build my own. 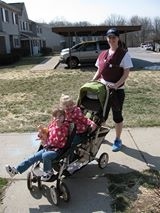 I recently purchased a Twingaroo twin carrier and just love! It’s a one piece carrier that has a built in diaper bag! I wore my twins in a weego when they were young and when they were able to sit unassisted I started using a Twingaroo twin baby carrier. Super easy and super comfy. 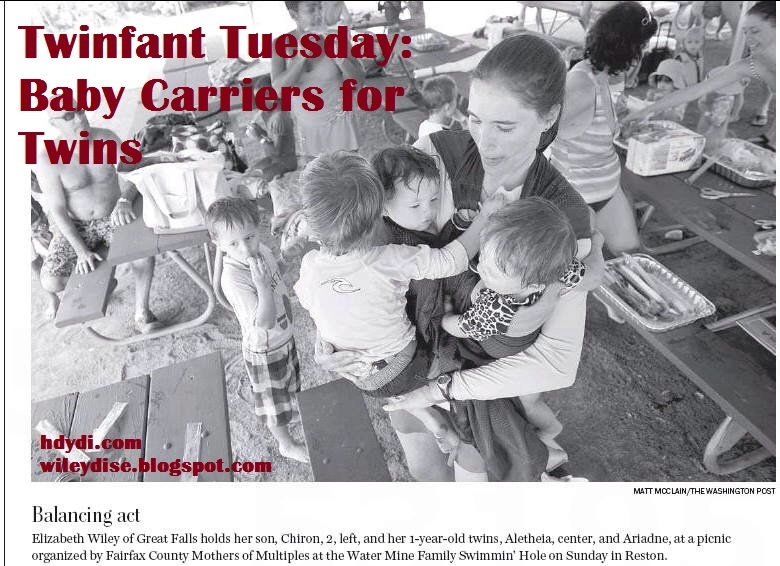 Highly recommend both of these carriers.